According to USA Gymnastics, the official sanctioning body for Olympic-style competitive gymnastics in the United States, more than 5.2 million young women and men participate in organized gymnastics at more than 4,000 gyms across the country. Among the top gymnastics gyms in the United States, all are are official members of USA Gymnastics, an affiliation that provides them with an opportunity to participate in competition at both the Junior Olympic, U.S. National and U.S. Olympic team levels. 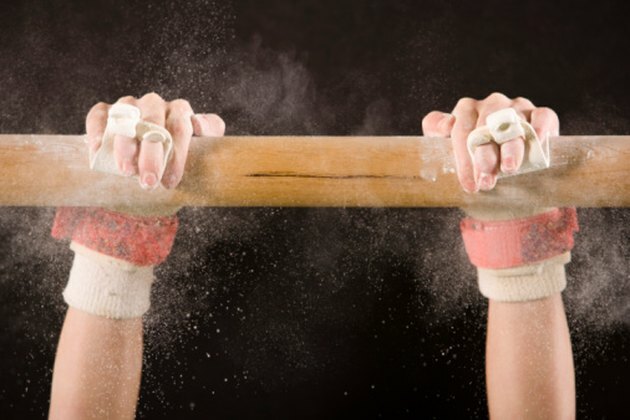 The top gymnastics gyms are all owned and staffed by individuals with competitive experience in Olympic-level gymnastics and knowledge of effective and safe training techniques. The top gyms are equipped with modern and safe facilities and apparatus, and have successful records of placing competitors at elite or Olympic levels and in securing athletic scholarships to pursue gymnastics at the college and university level. According to the "British Journal of Sports Medicine," a quality facility, well-maintained equipment and excellent spotting skills among the coaching staff are essential to a safe gym. One of the leading gymnastics gyms in the northeast is New York's Dynamic Gymnastics, located in Mohegan Lake, New York. Owned and operated by two former Olympians, Sorin Cepoi and Teodora Ungureanu, Dynamic, along with World Cup Gymnastics in Chappaqua, New York, is the only New York State gym to place members on the U.S. National Team for three years in a row. Brestyan's American Gymnastics in Burlington, Maine, which trained Olympic and World medalist Alicia Sacramone, and Hill's Gymnastics in Gaithersburg, Maryland, home to three time Olympian Dominique Dawes, round out the top East Coast gymnastics facilities. Gymcats in Henderson, Nevada, and the All Olympia Gymnastics Center in Los Angeles, California, will make any list of the top West Coast gymnastics gyms. Gymcats is the home of Olympian Tasha Schwikert, and All Olympia is the training site for two U.S. National Team members. The Great American Gymnastics Express in Blue Springs, Missouri, is one the top gyms in the American heartland and was the home of Olympians Terin Humphrey and Courtney McCool. The training provided at Iowa's Chow's Gymnastics and Dance Institute produced Olympic champion Shawn Johnson, and in Fairfield, Ohio, Cincinnati Gymnastics provided the training that helped Amanda Borden and Jaycie Phelps achieve success at national and Olympic levels. How Does Elite Gymnastics Work?